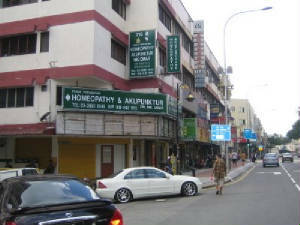 Welcome to Prof Nik Omar Online Homeopathic Clinic. If you have any health related problems which cannot be cured by any other western method of healing or allopathy and you are interested to try Homeopathic treatments, you have reached the right person, right time and right place. You can write your problems and queries to Prof Dr Nik Omar the President Of Homeopathic Medical Practitioners of Malaysia and one of the world top homeopathic specialist. He has been in the service for the last more than 25 years, trained more than 4,000 students from 21 countries and treated more than 1 million patients. Online Consultation. Ideally, the process of medical treatment requires one-to-one interaction with the patient. However, with the coming of IT, web cameras, era of instant communication, it is now almost a neccesity to have online consultation, Online Homeopathic Clinic. Theare are so many diseases which can now be treated successfully on-line. I have treated more than thousand of patients online. Internet Technology makes it possible to extent the benefits of homeopathic medicines to everyone, anywhere in the world. For a long time people kept believing that diseases such as sinusitis (resdung), skin diseases ( badang), asthma, hepatitis, vertigo, stroke, diabetes, hypertension, bellpalsy, gout, arthritis, herpes, HIV, parkinson, fibroid, cancer, etc cannot be cured ! or either impossible to cure compeletely. The western doctors keep on telling the patients that there is 'no medicine' for such a problems..... The modern medicos remained under darkness of ignorance and they spread the same news, keeping the patients suffering and completely ignorant about the benefits of alternative treatment such as homeopathy. Now, it is the high time the homeopathy and alternative treatments reaches all the corners of the globe. In this era of IT, do not remain untreated from an ailment, simply because you do not know what homeopathy can offers in treating chronic diseases. Homeopathy and also acupuncture offers amazing treatment for most chronic and so called incurable cases. Please inform us immediately as soon as you made the payment. 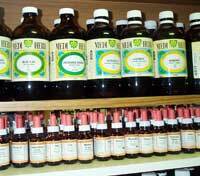 Justify Homeopathy changed the Medicine of Speculation into Medicine of Experience ? The orthodox or western medicine practised during the life time of Hahnemann and even now were engaged in speculating, theorising and contemplating about the causation of diseases and their treatment. During Hanemann time, brutal methods of treament were carried out even if the patients died. The result that nobody could speak truth or preach sensible principle in public. Simply because the doctrine and policy was proposed by such eminent authorities. No body can speak and question their authority and if anybody dared to speak anything new even if it was logical or based on facts and experience he was sure to be punished or boycotted by authorities and they made a logical blamed that you are against this law and that act. You as alternative practitioners, so you cannot speak, only allopathy can speak. But Hahnemann was a very bold and sensible physician. he could distinguish between wrong and right. he was not influenced by renowned authorities. He has the courage of his own conviction. He doubt the words of eminent physicians, unless he could verify their statements. He achieved great success and proved beyond doubt that homeopathy has a strong scientific basis and it can be verified experientally. Even those physicians who thought that it was quackery became converted when they treated patients according to homeopathic principles. Millions of homeopaths since Hahnemann all over the world have the same experience. That is the truth Hanemann has brought to us ! Why not try homeopathy now ! It is economical and Esay to use. Such as cancer cases in the early stage, either breast cancer, tomour, cycst, fibroid, cataract, coronary artery blockage, defective cardiac valves, fistula, piles, hernia, renal failure, renal calculi ( stone in kidney), stones in gall bladder, blood clot in brain, etc if in early stages and getting proper and regular homeopathic treatment, surgery sometime almost unneccessary. HIV, Aids, habitual abortion, irregular period in ladies, infertility - male or female [ http://infertility.xaper.com ] gout, gonorrhoea, hydrocephalus, parkinson, stroke, bellpalsy, prostate problems, impotence, azoopsermia, low sperma count, sexual mania, frigidity in ladie, before and after birth, etc. We will do whatever, alternative medical treatment available for the benefit of our patients. 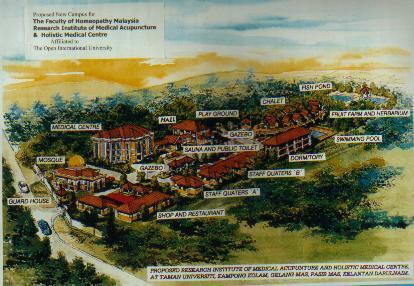 Our Homeopathic Medical Centre is the fisrt clinic in Malaysia using 'Integrated Medicine' i.e. Orally we give homeopathic treatments and externally we give 'Classical Acupuncture Therapy'. Spiritually we allow the patient to use his / her own meditation. Note: Prof Nik is availabe either at Pasir Mas or Kuala Lumpur address ONLY.